Let’s review the history and culture of Chinese about the most important Celebration called the Chinese New Year or Spring Festival. The world’s largest movement of people happens during the Chinese New Year as millions of Chinese go home for the celebration. 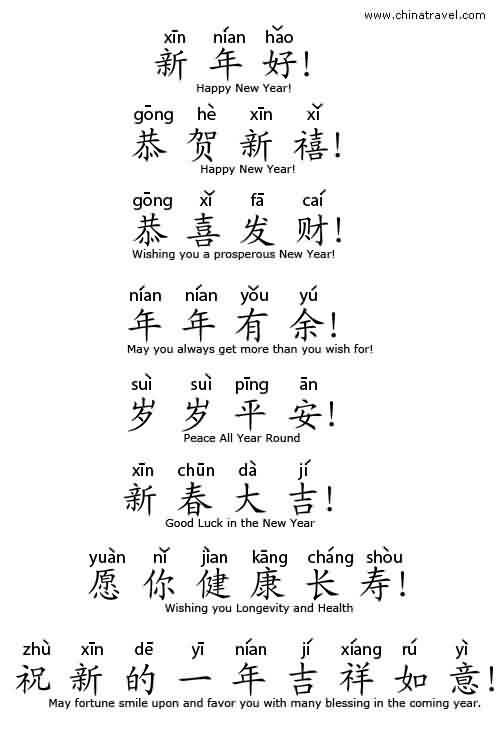 After few days China will celebrate a new year bringing to an end a significant year for China Internship Placements; during this year, CIP offered 400+ Internship Placements and 200 Chinese Language Participants in Shanghai, Beijing, Shenzhen and some other interesting cities. We tried our first ever Job portal, and CIP happened to be the first ever China internship program that allowed Interns to review organizations and Job roles before applying. We gathered feedback and will be used to improve the system. We also established our alumni job portal to provide permanent job updates to interns who complete our program. We also invest in our alumni to make sure we keep updating and training them. 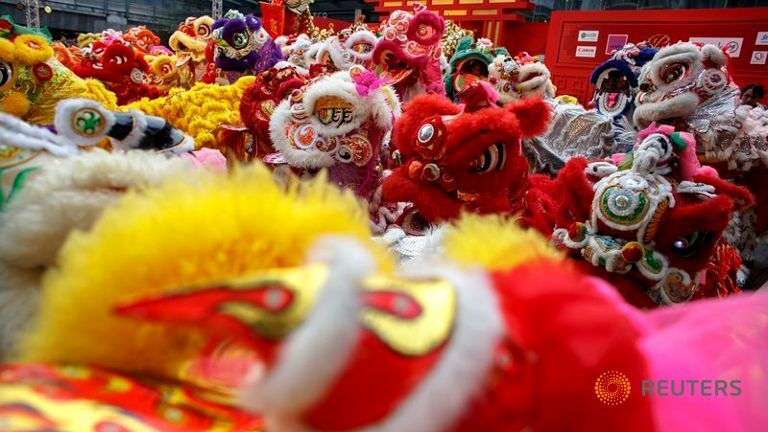 You may have read elsewhere that Chinese New Year is same as Spring Festival and it is the most revered celebration in China. These celebrations hold significant places in China’s Century-old history. According to legends, Chinese New Year was born with a mythical beast that lives under the sea or in the mountains called Nian (which also means ‘year’) would eat children. So one year all the villagers decided to hide from the beast, but an old man appeared and said that he was going to stay the night to get revenge on the Nian by putting up red papers and setting off firecrackers. The day after, the villagers came back to their town to see that nothing was destroyed and assumed that the old man was a deity or a supernatural that came to save them. The villagers then understood that the Nian was afraid of the red color and loud noises. That explains the reason you might see a lot of people wearing red clothes during New Year, and hanging red lanterns, red spring scrolls on windows and doors and also using firecrackers to frighten away the Nian. Within China, regional customs and traditions concerning the celebration of the Chinese New Year vary widely. 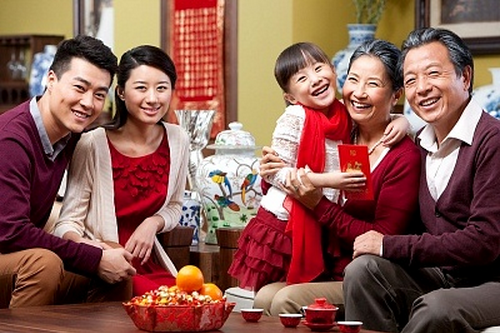 Often, the Chinese New Year’s Eve is an occasion for Chinese families to gather for the annual dinner. It is also traditional for every family to thoroughly cleanse the house to sweep away any ill-fortune and to make way for good incoming luck. Interning in China will expose you to very confusing and detail cultural practices but its just a matter of time and you will be okay with as many. I felt same during my first few years in China. What Animal Sign are you? Based on a 12-year cycle, the Sheng Xiao (‘birth likeness’) is represented by 12 different animals and calculated according to the lunar calendar – 2018 is the Year of the Dog. Find your animal sign below and let us know if its character traits sound like you. One of the obvious features of Chinese celebration of the Spring Festival (Chinese New Year) is eating and merrymaking. 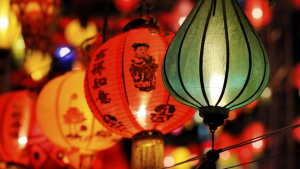 During your orientation before starting your internship, you may have heard some resource persons talk about the relevance of dinning and winning in the history of China, and this is expressed to the extreme during the Chinese New Year. 1. “Tang Yuan” – black sesame rice ball soup; or a Won Ton soup. 2. Chicken, duck, fish and pork dishes. 3. “Song Gao”, literally translates to “loose cake”- which is made of rice which has been coarsely ground and then formed into a small, sweet round cake. Fish is a must for Chinese New Year as the Chinese word for fish (鱼, Yú) sounds like the word for surplus so eating fish is believed to bring a surplus of money and good luck in the coming year. The spring festival marks the start of a fresh year, and the beginning of spring as well. On this day the more fireworks continue, and Chinese are known for manufacturing one of the best firework displays. According to history, evil spirits do not like the sound of the firecrackers, and they will not come near the homes. The Younger generation will visit the old generation and greet them. It is very significant for blessings and good luck. On this day, more sacrifices offered to the Gods and Spirits of Success and bounty. Businessmen and shop owners sacrifice animals and other gifts to these gods.Later in the day, Son-in-laws visit the family of their wives usually referred to as “Ying Xu Ri” . They pay visits with gifts and other offerings for the families of their wives. If you are a participant of our internship in China program, you may visit your friends on this day and greet their families. Keep some of the greetings in mind and surprise them. Time to practice! After the bad luck day comes, the good luck day referred to as “Yang ri” the day of the ram. Ram is a symbol considered to be good luck in Chinese culture. Somewhere during the 4th day, Chinese also offer sacrifice to the Kitchen god using the head of a ram. On this day, Chinese are free to break all rules, and it won’t be counted as an abomination. It’s like the freedom day and is observed as such. On this day, Chinese wage war against all spirits and Ghosts of poverty and bad luck. The rituals for doing this varies from one city to another. This is a very significant day, and the signs of weather tell whether the year will be full of bountiful harvest or poverty and famine. A bright sky on this days signifies the coming year will be full of good things and good harvest. This day forbids movement of rocks, cutting of stones and cities who regard mountains as gods offer special sacrifices. Nothing significant happens on this day. Some people take a leave from heavy eating. I am not sure of the significance of this festival, but most Chinese buy a lantern and hung on their doors, main gates and some famous places of their homes. The red color paper-cuts and couplets hang on windows and doors will be decorated with favorite themes of good fortune, happiness, wealth, and longevity. Other activities include lighting firecrackers and fireworks and giving money in red paper envelopes. Traditionally many taboos were associated with the Spring Festival, but in recent years some of them have been discarded, especially among the modern urban populations in larger cities and the younger generation. If you are coming to China for an internship, avoid giving wrong gifts during Chinese New Year by taking a look at the list below as they are considered taboo. 4. Items (i.e. handkerchiefs, towels, items colored white and black) are associated with funerals that insinuate saying goodbye. 6. Items that show that time is running out, i.e., clocks and watches are a big NO for a gift because ‘giving a clock’ (送钟, sòng zhōng) sounds exactly like ‘attending a funeral ritual’ (送终, sòng zhōng). 7. Giving fruit is a good thing, but pears are taboo. This is because the Chinese word for ‘pears’ (梨, lí) sounds the same as the word for leaving or ‘parting’ (离, lí). 8. Freshly Cut flowers are presents for funerals! Especially the Yellow Chrysanthemums and any white flowers, which represent death in Chinese culture. 9. Mirrors are a terrible idea for gifts throughout much of Asia, as they are believed to attract malicious ghosts. Moreover, they are easily broken and breaking things is a bad omen. The entire CIP team wishes you all Happy Chinese New Year and prosperous one indeed!! The post Interning in China during the Chinese New Year? [What to expect] appeared first on China Internship Placement Blog.